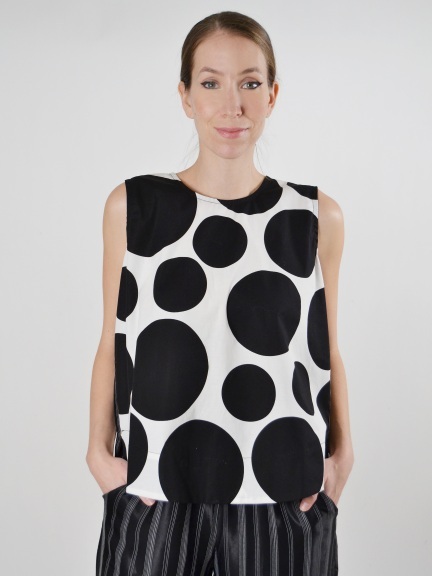 A boxy tank shell from Alembika features wide tank straps, high cut rounded neckline and an eye-catching big dot design in cotton. Back of tank features single button closure and black satin viscose fabric with woven white stripes. Small side vents. Made in Israel.